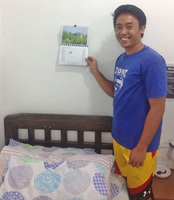 Each member of Davao's St Peter Chanel Marist formation community now has his own copy of the Australian-produced 'Colin Calendar' for 2017. 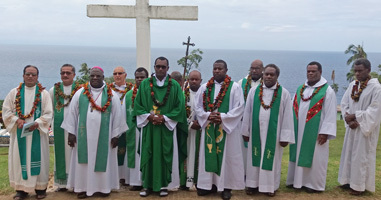 From the Oceania Marist Province comes news of the ordinations of Frs Louis Maite and Paul Molbwet at Melsisi, Vanuatu. 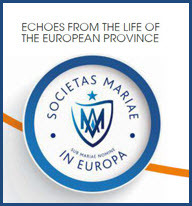 After a 'test-run' in France last year by the Marist Charism & Culture group, a 20-page booklet is now available for Marist pilgrims worldwide. 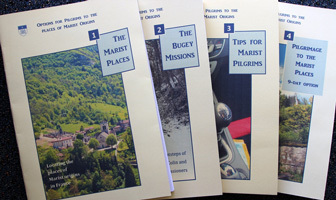 The booklet, 'Pilgrimage of the Marist Places: Nine-day option', takes its place in the 'Options for Pilgrims' series and offers a practical (and proven!) itinerary. 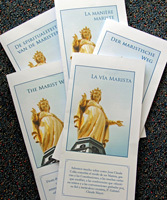 All booklets are downloadable from the Colin web site / Resources / Pilgrimage to the Marist Places. 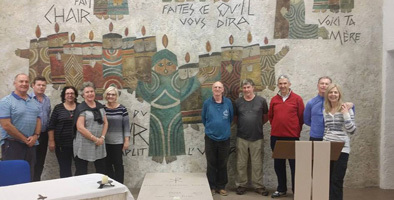 Pastor of Star of the Sea parish, Gladstone, Qld, Fr Kevin Redmond SM, is preparing to leave Australia for France and the 'Colinian Period of Renewal' (CPR). Bon voyage, and happy 'CPR', Fr Kevin! 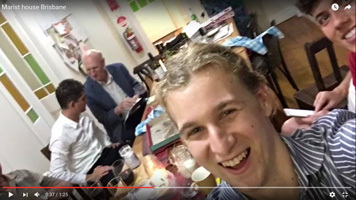 An enterprising member of 'Bethany' Marist community, Paddington, Qld, has produced a brief and bouncy video, 'Marist House Welcome'. 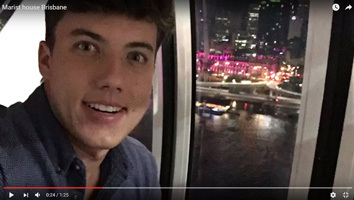 23 yr old Brazilian, Paulo Rejende, currently residing at 'Bethany' compiled the 90-second clip with impressions of life with the newly-established community. 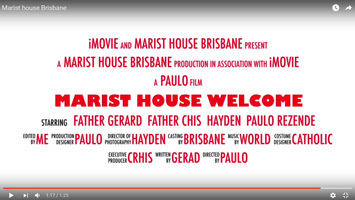 Glimpses of 'Marist House Welcome', including, below right, producer Paulo Rejende. Preparing for a Marist Laity gathering at Bexley, NSW, Fr Paul Mahony used one of the many resources available of the Colin web site: www.jeanclaudecolin.org. 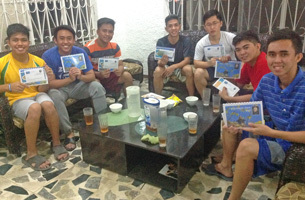 He is pictured, left, folding copies of the 'Marist Way' leaflet, containing many of themes from Fr Colin compiled by Fr François Drouilly SM. 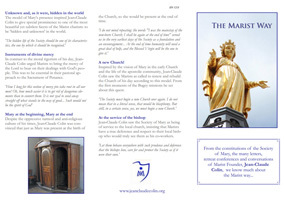 The leaflet is available in five languages. 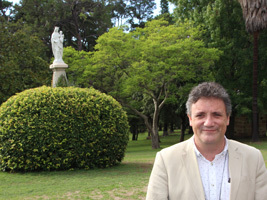 Members of the Marist education apostolate met at Currumbin, Qld, Feb 06-07 for an inservice led by Glenn Roff, former principal of St John's College, Lismore, and member of the Marist Charism & Culture leadership team. 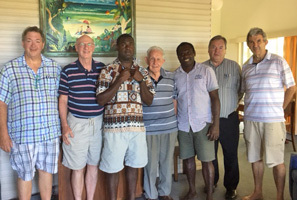 Pictured, from left: Frs Pius Jones, Gerard Hall, Chris Ketsore, Paul Pidcock, Robert Taria and John Gillen, with Glenn Roff. In a ceremony in the cathedral of Osaka, Japan, on Feb 07 one of Japan's heroes of faith will be beatified, Justo Takayama Ukon. The 16-century Christian 'Daimyo' is well known to Marists who have worked in the Nara Prefecture, aware of Takayama's courageous stand against the rulers of his day. 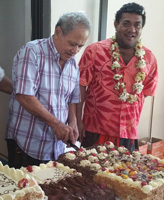 Former pastors of Yagi church, Nara, Frs Michael Guinea and Paul Glynn, cultivated a relationship with a village high up in the hills behind where the castle belonging to Takayama's father resided. He was baptised as was his son. 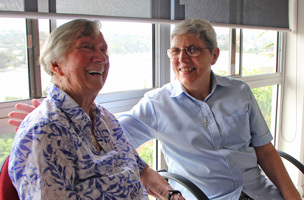 In a simple celebration at Marian House, Woolwich, Sr Clare Francis SM, marked her seventieth anniversary of religious profession at Merrylands, NSW, on Feb 05, 1947. 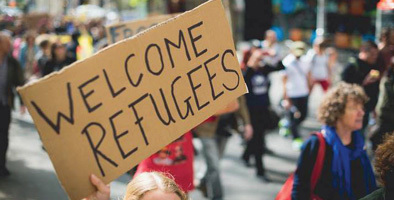 Sydney-born, Sr Clare recalls the late Fr Robert Nolan SM encouraging her at St Patrick's, Church Hill, to be a 'teacher for God' and to consider joining the Marist Sisters. Marist Fathers remember gratefully Sr Clare's service as registrar at Catholic Theological Union, Hunters Hill, in the mid 1970s. Congratulations, Sister Clare ! Above: Sr Clare Francis SM / ...with Marian House community leader, Sr Julie Brand. 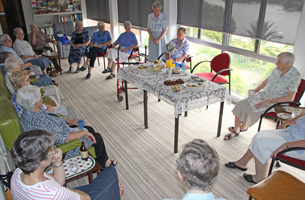 Below: Sr Clare's community and other Marist Sisters gather to sing 'For she's a jolly good Marist!' /... with Superior-General, Sr Grace Ellul, visiting from Rome. 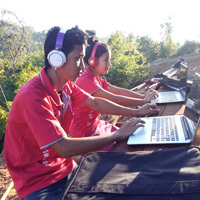 2011-12 Bridge Program graduate and ethnic Karen, Saw Chit Min, is setting up a BP enterprise in his native Myanmar (Burma). 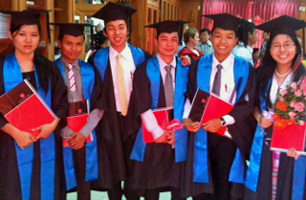 The 'Bridge Program in Myanmar Project' (BIMP) is being funded by Australia's Marist Mission Centre and will offer skills to Burmese young adults hoping to access tertiary education. 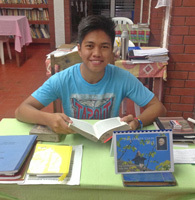 As BIMP director, Chit Min draws not only on his original BP training, but on subsequent studies at Australian Catholic University's online program (Maesot, Thailand) and experience in presenting teacher training throughout Myanmar.